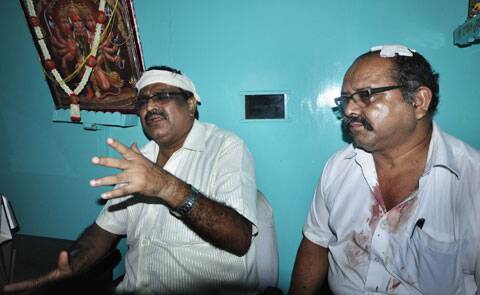 Chief Minister Mamata Banerjee called the incident an act of “CPM and BJP goons”. The CEO of a jute mill at Bhadreshwar in Hooghly was beaten to death and at least two members of the management were left injured on Sunday by workers agitated over a suggestion that the number of working days in a week be cut from five to three because of losses. CEO of Northbrook Jute Mill S K Maheshwari had called a meeting in the morning with union members where he talked about the move. However, no conclusion could be drawn as the meeting erupted in commotion and was adjourned till 4 pm. Meanwhile, as the B shift began trickling in at 11 am, a rumour spread that a decision to have a three-day week had been finalised. Sources said irate workers went into Maheshwari’s office and, after a brief exchange of words, attacked him with rods and stones. A profusely bleeding Maheshwari was taken to a private hospital, where he was declared brought dead. The injured management members are hospitalised. A case has been registered at the Chapdani Police Station. Howrah SP Sunil Kr Chowdhury said four persons had been held and there would be more arrests. “The arrested four are linked to labour unions such as the AITUC (affiliated to the CPI) and CITU (CPM),” he said. Maheshwari, 69, is survived by his wife and three children. 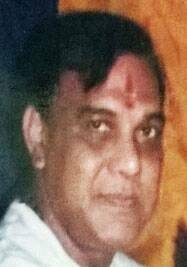 His son lives in Chicago while both his daughters are settled after marriage in Maharashtra. Chief Minister Mamata Banerjee called the incident an act of “CPM and BJP goons”. “I heard that the union members of CPM and BJP assembled at the jute mill with their demands and CEO Maheswari came out to hear them when he was beaten up mercilessly,” the CM said. West Bengal Labour Minister Purnendu Basu too blamed opposition parties, saying they were trying to taint the reputation of the TMC government, “which has managed to solve jute mills’ problems”. BJP leader Tathagata Roy asked how the TMC was drawing conclusions even before investigation had begun. West Bengal BJP general secretary Shamik Bhattacharya warned that the killing of an industrialist would dent the state’s image. Regretting the political bloodletting, the Indian Jute Mills Association (IJMA), an umbrella body of jute mills, said the killing of the CEO had put a question mark on the future of the ailing jute industry in West Bengal. Former IJMA president and industrialist Sanjay Kajaria accused the Centre and state government of neglecting the sector. “The jute sector needs a political solution. Both the Centre and the West Bengal government need to set differences aside and find an amicable solution,” he said.